Auburn has a chance to prove their back down on the Bayou! LSU is 18-4 (8-1) on the season, and they average 83.4 points a game while giving up 73.2 points a game. This group of Tigers are led by sophomore guard (#3) Tremont Waters who is averaging 15.6 points, 5.9 assists, and 3 steals per game (4th in the country). 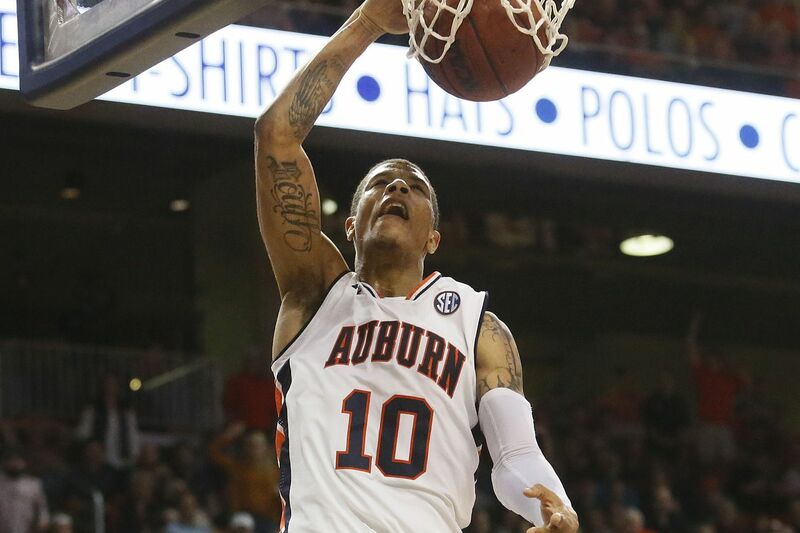 Waters had his worst scoring output of his career in the teams only meeting last year in Auburn as Waters was held to 4 points and had 6 turnovers. Waters scored 36 points against Texas A&M on January 30th and comes into today’s game coming off a 26 point, 5 steal game against Mississippi State. Waters has at least 3 steals in 13 of LSU’s 22 games this year. One of the key factors for Auburn in this one will be being strong with the ball when Waters is around. While Waters is the catalyst that leads LSU, they also get significant production from freshman forward (#0) Naz Reid who scored 25 of his 29 points in the 2nd half and Overtime against Mississippi State on Wednesday. What makes Reid so dangerous is not only his 6’10”, 240 pound frame, but he’s also able to knock down an outside shot, shooting 38.9% from 3-point range this year. The following clip is a 3-pointer that sealed the victory in Starkville on Wednesday. Junior guard (#4) Skylar Mays is 3rd on the team in scoring at 13.1 points a game. Mays only scored 7 points on Wednesday night but in a close game, he’s one player you don’t want to see at the free throw line. Mays is an 88.3% free throw shooter. LSU’s next 2 leading scorers are both part of LSU’s talented freshman class. Guard (#1) Ja’vonte Smart, is the team’s 4th double figure scorer averaging 10.5 points a game. Forward (#24) Emmitt Williams is 5th on the team averaging 8 points a game. The final LSU Tiger I want to highlight is 6’11” senior forward (#11) Kavell Bigby-Williams. He averages 7.8 points, 5.7 rebounds and 2 blocks a game. On Wednesday, he made all 6 of his shots and had 14 points and 13 rebounds against Mississippi State. He along with Naz Reid are going to be a handful for the Auburn big men to deal with. Auburn comes into this matchup at 16-6 (5-4) on the season. Samir Doughty will face his former coach for the first time as Will Wade was the head coach at VCU where Doughty spent his first two seasons of college before transferring to the Plains after Wade left for Baton Rouge. Doughty was outstanding on Tuesday as he had to play a few extra minutes due to the Harper injury and did a great job getting Auburn’s offense off and running in the first half. Doughty finished with 12 points and played great defense as he has for a good part of the year. Harper and Brown get most of the headlines but under the radar, Doughty has played an integral role in the success of this team. Austin Wiley played 5 minutes on Tuesday night against Florida and Auburn is going to need more from Wiley today if they want to come out of Baton Rouge with a W. With the size of both Naz Reid and Bigby-Williams, Auburn needs all bodies on hand to combat the big guys in the middle for LSU. Hopefully, Wiley can go about 8-10 minutes and that would be a huge lift for Auburn. Auburn had a couple players suffer minor injuries on Tuesday night that are worth keeping an eye on. Jared Harper left the Florida game in the first minute and a half after suffering a sprained ankle. Harper returned and scored just 8 points in the victory Tuesday, breaking a 7 game streak where he had scored at least 15 points. Chuma Okeke took a hard fall early against Florida and left the game for a few minutes as well but returned and scored 11 points, to go with 8 rebounds. Both players should be good to go but it’s worth monitoring. Auburn has played well at home but has struggled away from Auburn. There’s doubt from the outside that this team can win on the road and thus, Auburn has tried to embrace the underdog role they play so well in. This is a game that could really catapult Auburn to a really good second half of the SEC schedule. Auburn has won 2 straight games in Baton Rouge and LSU lost their last home game against Arkansas. They also have Kentucky next on their schedule, at Rupp Arena on Tuesday. All of that said, this may be crazy knowing Auburn’s road woes but I think Auburn has enough talent, the better defense, and will score just enough points to pull this game out.